It’s that time of year again! Our company, Scatena Daniels Communications, is selling delicious holiday pies for Mama’s Kitchen. The pies are all donated by local chefs and come in an array of flavors: apple, no sugar apple, pumpkin and pecan. Because the pies are donated by chefs, 100% of the proceeds go to Mama’s Kitchen, a non-profit meal delivery service for San Diego County residents and their families affected by AIDS or cancer. Each pie is just $20, which covers the creation more than six nutritious meals. Visit my page to purchase a pie (or three). Select where you want to pick them up. Get your receipt via e-mail. 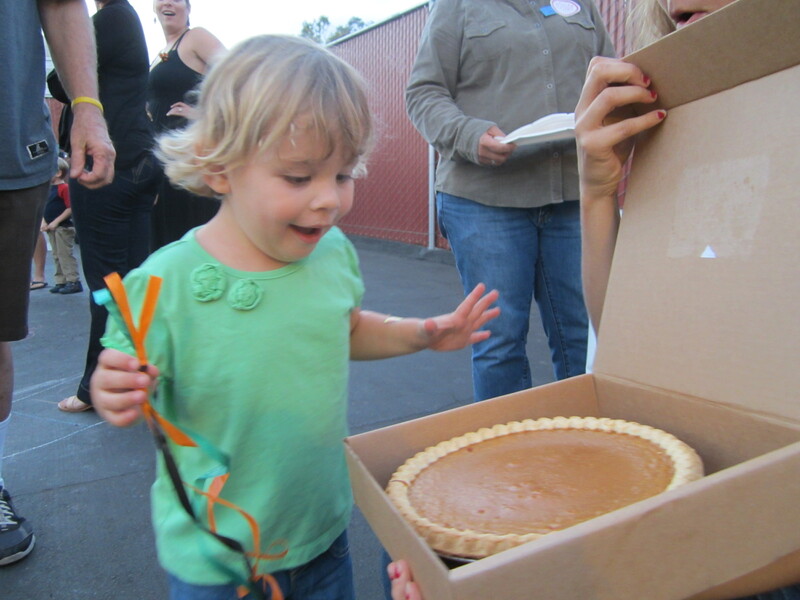 Pick up your pie at your designated location on Wed., Nov. 21 the day BEFORE Thanksgiving. Enjoy your pies with families and friends. My goal is to sell 50 pies this year. Will you help? You can purchase for your Thanksgiving festivities with friends and family, or you can purchase pies that will be delivered to clients on Thanksgiving Day. When you purchase a “Love-A-Client” pie, you are automatically entered to win a NEW iPad 3 64GB! The more “client” pies you purchase the more chances you have to win. And the price of a “Love-A-Client” pie is fully tax deductible. Purchase your pies from me here, before Nov. 18, 2012. I’ll give you a shout out on Facebook and Twitter for your donation! Plus, the calories don’t count when they are for charity. « Forget the Knife, Use Power Tools to Carve Your Halloween Pumpkin!